Family Safety Day set for Saturday, March 29, 2014 from 9 a.m. to 1:30 p.m. at the Southwest Senior Center, located at 2201 W. McFadden Avenue, in Santa Ana. Did you feel that? 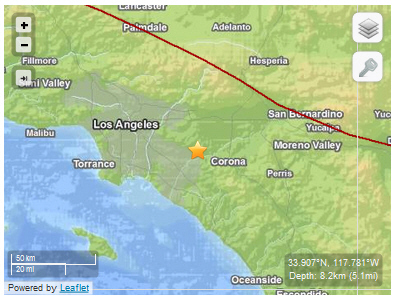 A 2.4 magnitude earthquake struck in Orange, CA, at 3:42 pm today, according to the U.S.G.S. 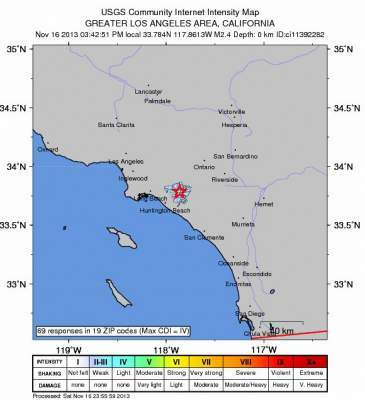 This quake was felt in nearby cities, including Santa Ana, Anaheim and Irvine. 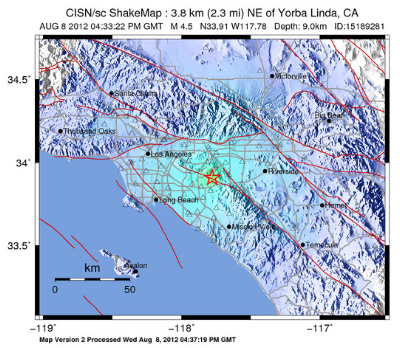 Two more earthquakes struck today in Yorba Linda. A 4.5 magnitude quake shook Orange County residents at 8:33 am today followed by a 3.4 magnitude temblor at 8:51 am, according to the USGS. There were two quakes last night that we previously reported. Did you feel that? A 4.4 magnitude earthquake struck this evening at 11:24 pm., and was centered in Yorba Linda, according to the USGS. It was quickly followed by a 2.7 magnitude quake.